SF State WISE provides opportunities for women in STEM fields to learn from and support one another through presentations, workshops, and the establishment of mentoring communities. The WISE scholarship, established by Dr. Jan Randall, Professor Emerita of Biology, is awarded to an outstanding woman in the graduate program at SFSU each year. The SF State Women in Science and Engineering (WISE) Program supports students, faculty and staff in the areas of science, mathematics and engineering. 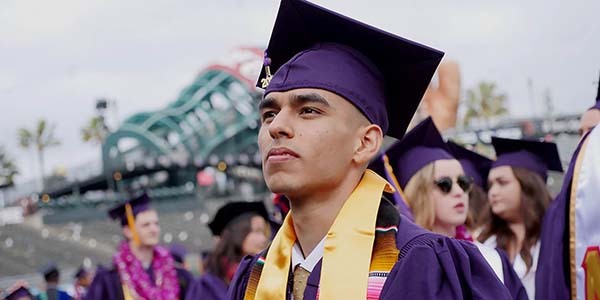 The SF State WISE program promotes the impact of women on science, mathematics and engineering professions, as well as attempts to increase the number of women pursuing a career in these fields at the local, regional, and national levels. The program aims to provide opportunities for all College of Science and Engineering (COSE) faculty, staff, and students to learn from prominent women scientists and each other through presentations, workshops, and mentoring communities. Lauren’s research explores the effects of climate change on the water-energy-food nexus within the groundwater dependent agroecosystem of the Pajaro Valley. Her work is timely, innovative in its approach, and will greatly impact many stakeholders in implementing groundwater sustainability plans. Jan Randall’s most important biological discovery came while she was she was sitting on a lawn chair, at night, by herself in the desert, armed with a flashlight and lots of patience. Her experiences as a woman in the field of science inspired her to fund the WISE program at SFSU, in support of faculty and students. Amanda's research focuses on behavior-based neuroactive drug discovery in order to improve the quality of medications to treat and manage mental illnesses and neurological disease. Due to the gaps in understanding of the central nervous system and how diseases and disorders work, there are many undesirable side effects associated with the limited effective drugs used today. She uses zebrafish, which are a great animal model due to their low cost, fast lifecycle, blood brain barrier, and similarity to humans, to run high throughput screens. She determines if a drug is neuroactive when it changes the behavior of the fish that are treated. From there, the lab investigates a drug further in order to find out the molecular processes behind the drug interactions. Utilizing computational methods like similar ensemble approach (SEA) she can make accurate predictions of drug receptor interactions which can help to learn more about how these multi-target drugs truly work. Crystal is a coastal ecologist who is highly driven by her desire to improve ecological restoration techniques through research. Her Masters thesis work on eelgrass restoration led her into the microbiology field, as she investigated the role of sediment microbiomes in eelgrass transplant survival. Since discovering a new appreciation for microscopic organisms, she has become a microbiology research associate with DuPont Pioneer where she continues to tackle real world problems with research based solutions. Cara Gallagher is a Master’s candidate at San Francisco State University’s Romberg Tiburon Center for Environmental Studies. She is currently working with Golden Gate Cetacean Research on the San Francisco Bay harbor porpoise project. Cara is investigating the potential amount of energy removed by harbor porpoises from SF Bay waters and transferred to the coast. As returning predators in SF Bay, it is important to place porpoises back into the context of the SF Bay food web. Cara is also currently working as a research associate with a startup that is investigating the impacts of climate change on mussels and harbor seals in Bodega, California. Emma's thesis research involved developing a multi-dimensional characterization of the Greater Himalayan Sequence (GHS), the high-grade metamorphic core of the Himalayas. She used the pressure, temperature, time, and deformation (P-T-t-d) histories to model the evolution of the GHS. Since graduating, she has been hired by Occidental Petroleum as a petroleum geologist and is currently working in Long Beach, CA for their spin-off company California Resources Corporation in the Wilmington oil field. Diana's master’s thesis revolved around the possibility of dust trapping inside giant gas vortices in protoplanetary disk to close the gap in our understanding of planet formation. Presently, she is an Aeronautics and Astronautics PhD student at Stanford University. As part of the Space Environment and Satellite Systems (SESS) research group, She studies plasma physics and the effects of space weather in spacecraft as well as space energy harvesting. Michelle Slocombe received her Master’s degree in Geography: Resource Management and Environmental Planning from San Francisco State University. Her research focused on examining the geomorphic features of small montane meadow streams in the Sierra Nevada and applying those findings to meadow restorations. Michelle currently works as an Environmental Scientist at CalRecycle in Sacramento, where she works on food waste technology, such as anaerobic digestion, and other innovative ways to encourage source reduction, reuse, and recycling.